If the site is using magnetic swipe cards or proximity cards, the code will already be programmed on the card. If the site is using individual access codes for each user, strong codes are important for the security of the site. If a user's access code is compromised, a thief can use the code to gain illicit access to the site. This can mean monetary losses to a site. 1. Codes should be unique for each user. Even if multiple users share the same unit (such as spouses or employees of a company), each user should have their own code to identify their activity on the site. Remind your users not to share their codes with anyone and that they are responsible for all activity that occurs with their code. 2. Codes should always be more than four digits in length to prevent them from being easily guessed. Seven to ten digits make the best codes. 3. Codes should not proceed in numeric order. This helps prevent customers from guessing other codes. If you are pre assigning codes, count by threes or sevens to help prevent this. If you are ordering swipe cards or proximity cards, request this. 4. Never use Social Security Numbers for codes. 5. Good codes are random enough to prevent guessing but still easy for users to remember. Try using the unit number plus the user's telephone number. This will generally give a long enough code that will be unique to each customer but is still easy to remember. For example, a customer in unit C130 whose home phone number is (33) 2541-1513 could be assigned 3325411513 as their ten digit code. 6. Manager codes, employee codes, and customer codes should all be different lengths. This helps prevent someone from guessing a code used by someone with a higher access level. For example, you could assign all managers eight digit codes, all employees nine digit codes, and all users ten digit codes. If you are ordering swipe cards or proximity cards, request separate number series for employees, managers, and users. 7. If you suspect a code is being used by someone other than the assigned user or if a user reports their card lost or stolen, go into the Setup Cards function by pressing F3. Select the code from the list and edit it. In step 2 of 2, click Card was Reported Lost. Contact the user and assign them a new code. When someone tries to use this code again, it will show as Lost or Stolen on the event log. 8. Use the Bad Attempts setting. Go to the Setup screen in StorLogix and select Setup AI Devices. Make sure the advanced options are clicked and go to step 5 of 6 and set the Bad Attempts Limit. Generally this should be set between 3 and 5. This is the number of wrong codes that can be entered before the system locks up to prevent someone from entering random codes trying to guess a good code. The security of any organization is the major concern, whether it be a corporate house, a manufacturing unit or schools and colleges. We have previously discussed about the security concern of the corporate houses and other work places. But through this write-up I will focus light upon the security concern of Schools and colleges. Recent happening across the globe have sent a thrill for the security of school going kids. So the safety of kids is more important for any authority. Thus, in the course of providing security for kids or students, technologically updated security system is a must. The major components of security for schools and colleges are security cameras for video surveillance, access control of the movements of the visitors, and visitor management system for maintaining the records. Video Surveillance: - Probably one of the most important aspect of the security of schools and colleges is a video surveillance through security cameras. The reason for this is simple, as to keep an eye at each and every corner of the campus through cameras to know what is happening on the campus ground or any classroom or in corridors. 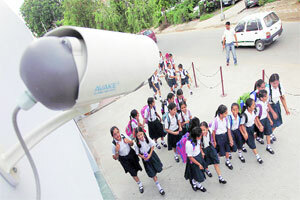 Security cameras prevent vandalism, bullying, criminal activity and sexual predators. With surveillance you will always have a record of near school property or any unwanted movements. Video surveillance will help to protect the facility from potential lawsuits as well as protect students from intruders. This whole thing is impossible if done physically. 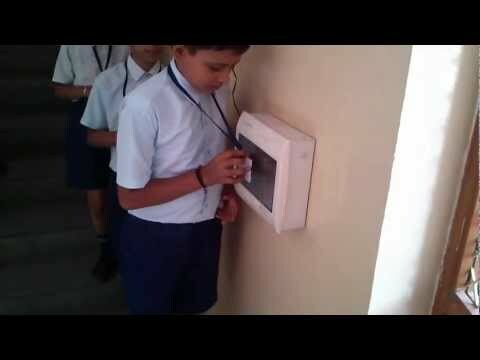 Access Control Solution: - Another crucial and important feature that plays an important role in the security of the school premises. 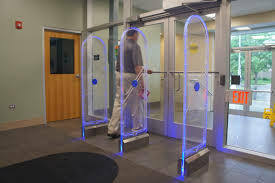 It does not require anyone to keep waltzing into the facility as access control lets you monitor who comes and goes. You can also do the setting in the installed access control with pin and password, which can restrict the unwanted access in the premises. It helps to reduce or stop the unauthorized movements in the arena of school. Also, you can manage the groups accordingly restricting the movement in unauthorized zones. Access Control Solution will add a deepness in the security. Visitor Management System: - Each visitor can be managed through visitor management system, keeping his/her complete records, including the concerned person or student with whom they have to meet. As this software generates the gate pass of the visitor with his/her photograph. Until and unless all these processes are not done, the access cannot be granted to enter the premises. This helps a lot to stop the unwanted movements and entry of intruders. The safety of school kids is the major concern for any authority or school administration. So keeping these things in mind, one should look after the security of school premises. Though this one time investment can be benefiting many lives, as nothing is precious than LIFE. 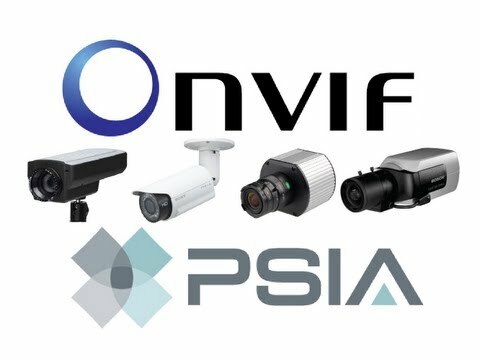 We talk to two of the biggest interface standards organizations in surveillance – ONVIF and PSIA. ONVIF is a global and open industry forum with the goal to facilitate the development and use of a global open standard for the interface of physical IP-based security products. Or in other words, to create a standard for how IP products within video surveillance and other physical security areas can communicate with each other. It was officially incorporated as a non-profit, 501(c)6 Delaware corporation on November 25, 2008. ONVIF membership is open to manufacturers, software developers, consultants, system integrators, end-users and other interest groups that wish to participate in the activities of ONVIF. The ONVIF specification aims to achieve interoperability between network video products regardless of manufacturer. It’s all very well running your security across an IP network, but if your recording device won’t talk to your PTZ camera, you are not going to get very far. Over the last decade, the security industry has spent a lot of time talking up the benefits of IP-based surveillance systems, and end-users have been bombarded with literature and sales pitches on the subject. It soon become clear in an industry that was raving about the endless opportunities for security on the network that manufactures would have to become a little less proprietary in their dealings with their customers. In short, it was no longer fair to deny end-users the ability to choose whatever camera they wanted and whatever DVR they wanted on their network. They were, after all, used to IT systems that interfaced. It was time for the security industry to realise it had to be more open as well. Two organizations that have been at the forefront of the drive towards open standards in the industry are ONVIF and PSIA. ONVIF was set up in 2008 by Axis, Bosch, and Sony. A non-profit organization, its aims are to create standardization in the industry to aid communication between various vendors’ video devices and then interoperability between those devices and others on the network, regardless of manufacturer. 300 member companies since its founding in 2008. The list of participating members includes major manufacturers like Vivotek, Arecont Vision, and Milestone Systems. In December 2009 ONVIF’s member base had grown to 127 members. This comprised 14 full members, 15 contributing members and 98 user members. In December 2010, the forum had more than 250 members and more than 600 conformant products on the market. ONVIF now has 480 members and as of mid-October 2014 has nearly 2040 products that conform to its Profile S specification, which handles video and audio streaming. The total number of products that meet the ONVIF core specification has reached well over 4,000. In order to be ONVIF conformant, manufacturers use the test tools developed by ONVIF to meet the requirements of its core specification. Only manufacturers whose products have met the requirements of the test tools can submit a test report and a Declaration of Conformity signed by the manufacturer. The profile concept is a way for end users and systems designers to identify more easily what products will work together without needing an in depth technical knowledge of the specification or having to keep current on each new release. Profiles group together common sets of features and functionalities, so when two products — for example an IP camera and NVR — both bear the Profile S mark for video and audio streaming, they will work together. From the beginning, ONVIF’s focus was video because we knew we could get the proper feedback from the marketplace and because the need for standards and interoperability on the network video side was so acute. But ONVIF recognized from the start the need for specifications in other industry segments. Its next area of concentration he says could be new additions in the physical access control area or a new profile for intruder alarms. ONVIF utilizes IT industry technologies including SOAP, RTP, and Motion JPEG, MPEG-4, and H.264 video codecs. Later releases of the ONVIF specification (version 2.0) also covers storage and additional aspects of analytics. Onvif is a new standard and as such has issues. From our experience there are 2 combining factors contribute to the reliability of an Onvif based CCTV system and they are. How good a camera manufactures implementation of the Onvif protocol is. How well VMS manufacturer ensure the quality of the marriage between their implementation of Onvif protocol and each camera manfacturers. Some IP camera features and enhancements may not be available when using a VMS that exclusively supports the ONVIF standard. To take advantage of some of these features you may need to use the manufacturers own proprietary VMS (Video Management System) application or choose a VMS that supports these enhancements. Profile Q for improved connectivity.